Celebrate the 50th anniversary of Star Trek's premiere on television by participating in the Star Trek: Starfleet Academy Experience at the Intrepid Sea, Air & Space Museum in New York City. 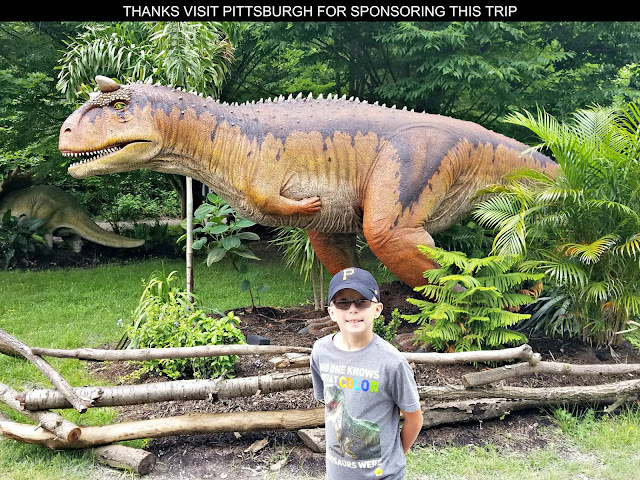 From July 9 through October 31, 2016 visitors to the 12,000 square foot exhibit will be immersed in the experience of being a cadet training for a crew spot on a Star Trek space ship. 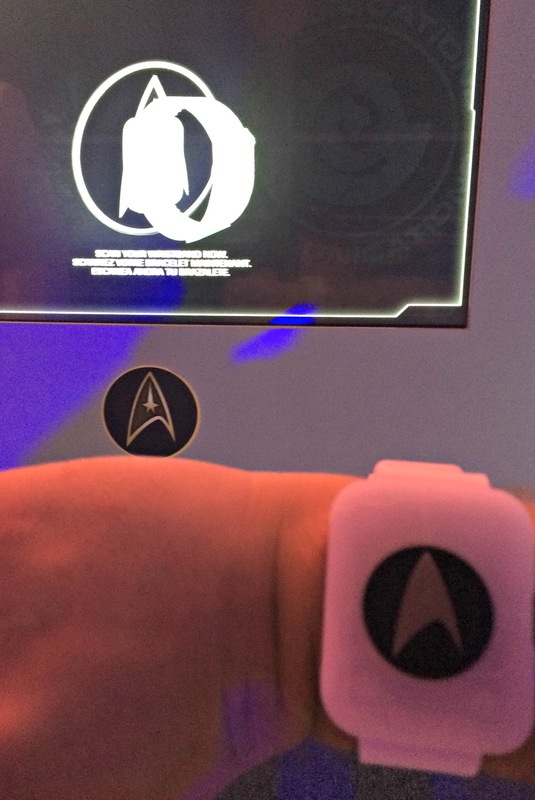 Do you have what it takes to be assigned to NCC-1701, the Starship Enterprise? Entering the exhibit you are provided a wrist band that is coded to your admission ticket. 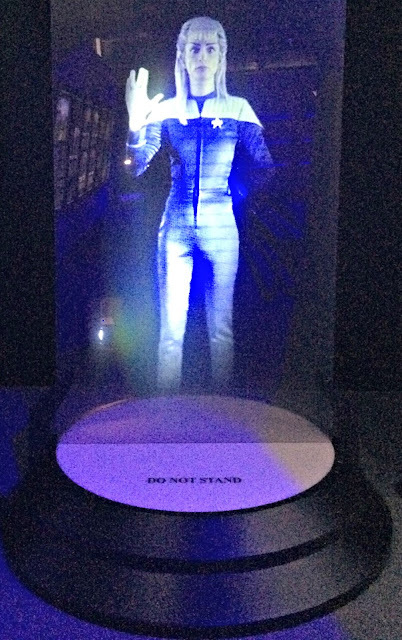 You'll be greeted by a hologram of a Vulcan training instructor who advises you on your assignments. Throughout the experience you'll need to scan your band against identified panels in order to participate in various training sessions. 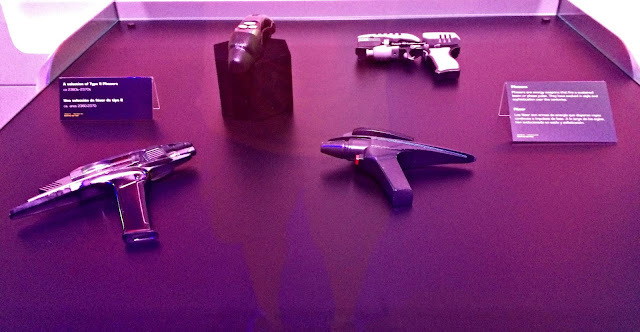 How will you do in a phaser shootout? What are your linguistics skills when it comes to speaking Klingon? 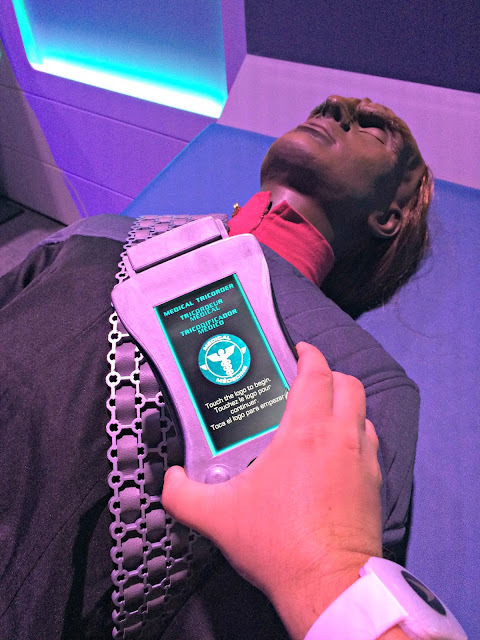 Can you diagnose an illness or injury with a tricorder? 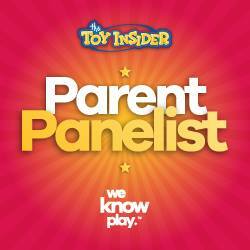 How will you fare in the legendary Kobayashi Maru training simulation? How you score in all of these scenarios will determine which specialty you are assigned at the conclusion of your cadet training - language, medicine, engineering, navigation, science or command. 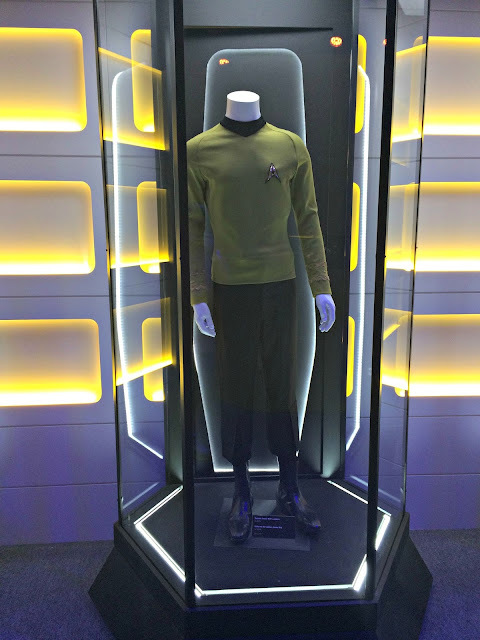 In addition to these interactive training sessions, the exhibit also features models, props, and costumes from various Star Trek television shows that are really interesting to see first hand. 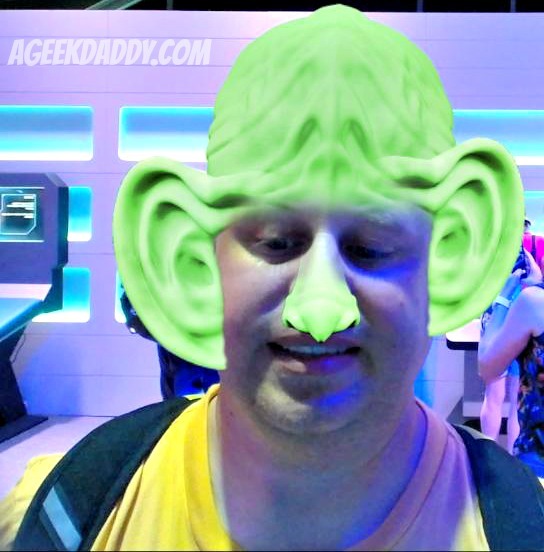 Another highlight is being able to take facial features from a variety of the aliens featured in the television shows and transform yourself into your own unique Star Trek persona. 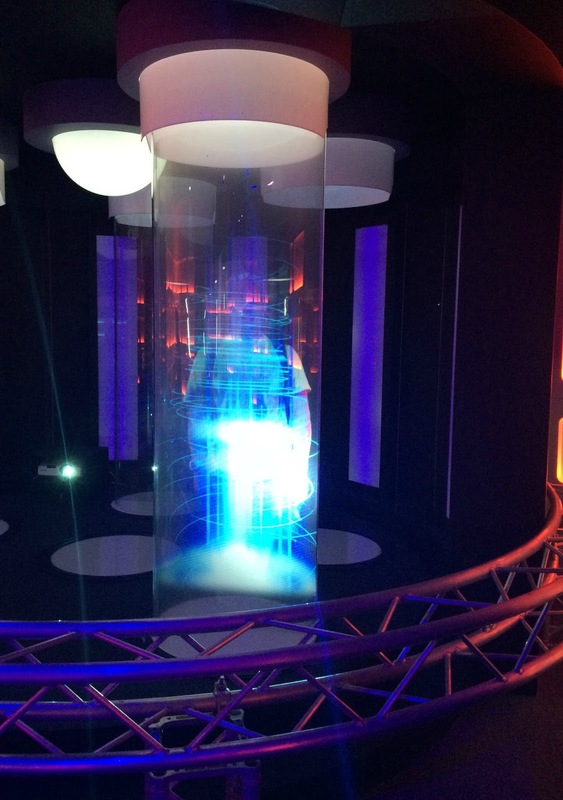 The best part of the experience for me was the Transporter Room which simulates people being teleported just like in the television show. People stand in a tube off to the side of the room and a hologram of the person is projected onto a transformer pad set in the stage set located at the middle of the room. Your hologram than appears to transport your image with the same special effects from the Star Trek television shows. I tried to get some pictures and video but they don't do justice to watching the effects live in front of you. 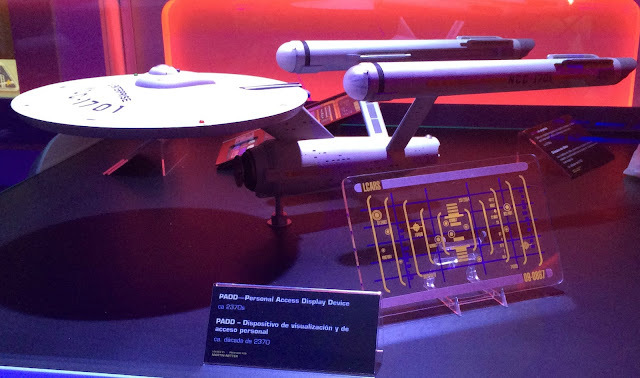 The exhibit wraps up with a mock up of the bridge of the Enterprise from the Star Trek: The Next Generation television show. 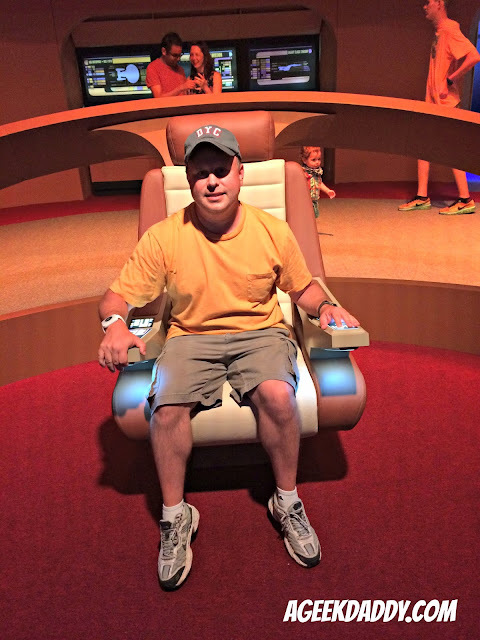 There are terminals around the edge of the room that allow you to engage in the Kobayashi Maru simulation while you wait to get a photo op in Captain Picard's bridge command chair. Leaving the Star Trek: The Star Fleet Academy Experience you are provided a report card based upon how you excelled during your cadet training. Of course I was identified as having Command potential! Turn in your wrist band and you'll have emailed to you a copy of your Starfleet Academy report card, your Star Trek alien portrait, and a video showing you in the transporter room which make for nice souvenirs. 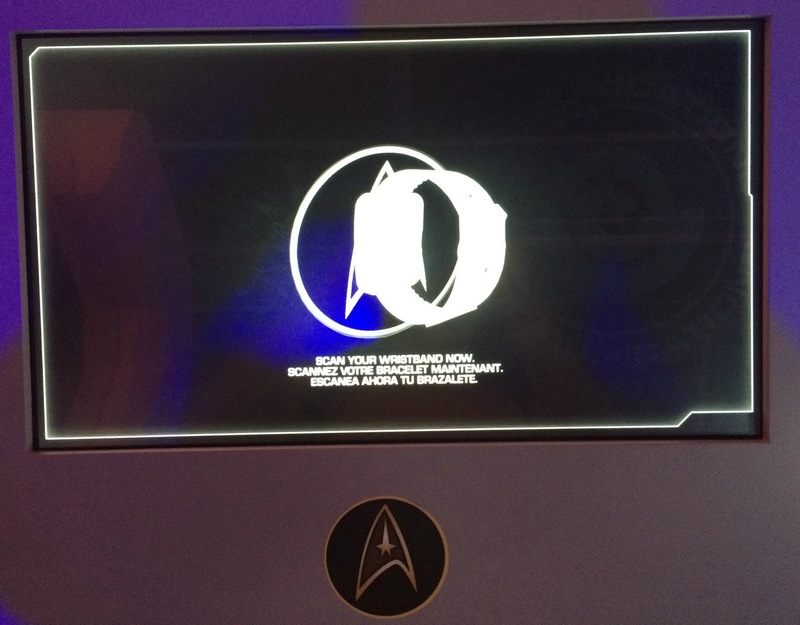 For more information, visit IntrepidMuseum.org/StarTrek.